Mere days ago, we were marveling at a quartet of Dallas-area restaurants that had opened on the sly; now we're back, with yet more restaurant news. Meanwhile, Blue Bell ice cream is back, in limited supply — this time without listeria! Just the way you like it. 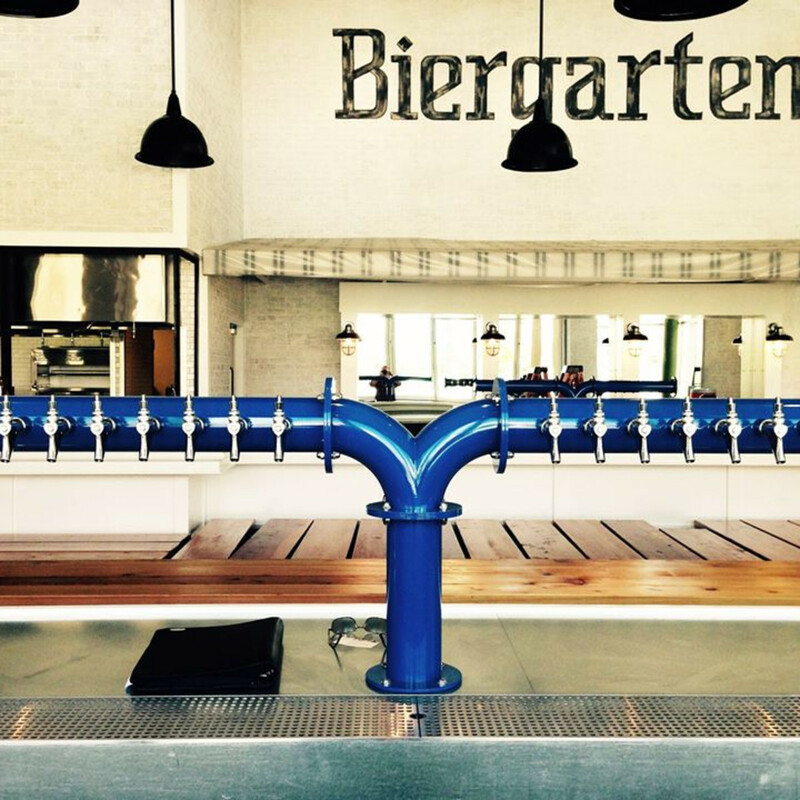 Biergarten, the German-style beer garden from colorful restaurateur Joseph Palladino, has opened in its perch in front of the Omni Dallas hotel downtown. 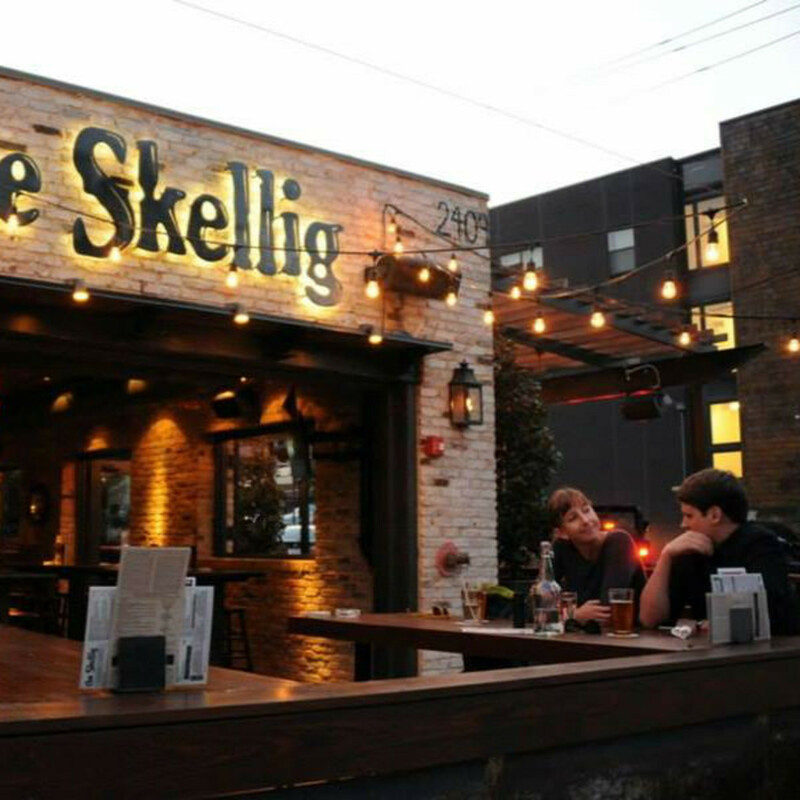 Palladino, who already has pizza covered with Coal Vines and steak covered with Nick & Sam's, is taking on German beer and German dishes, including pretzels, sausages, goulash, and a carving station with meat. The interior is tiled, and a patio features picnic tables. 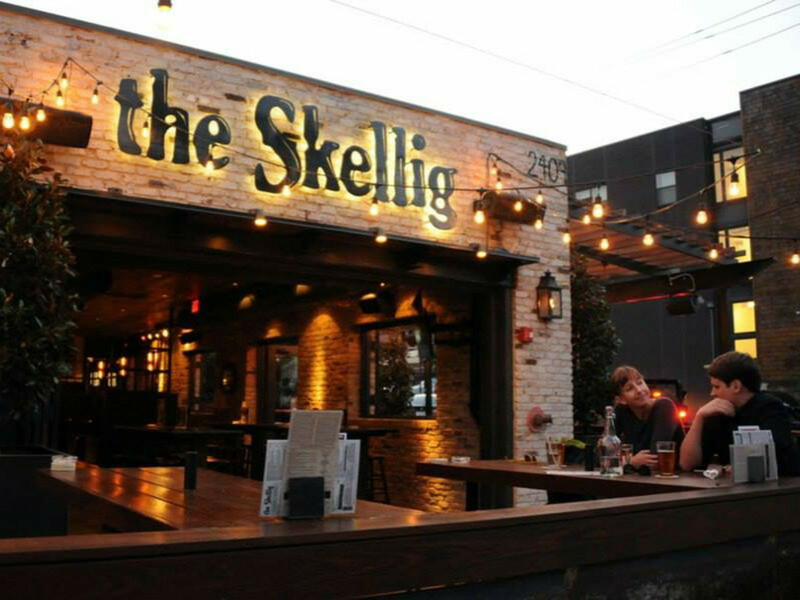 The Skellig is now open in the former J. Black's. 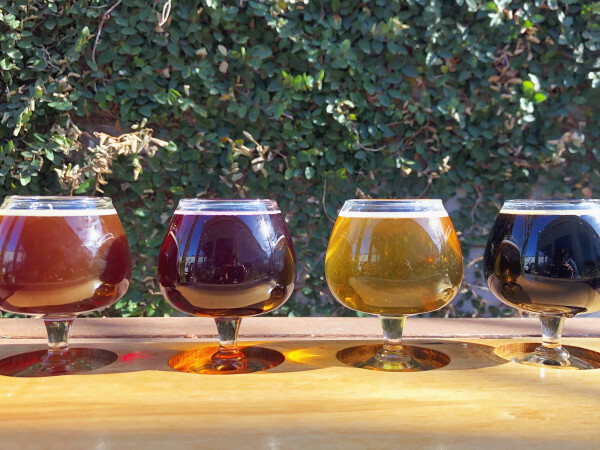 It's the latest concept from Feargal McKinney, who owns The Old Monk, Idle Rich, and Blackfriar Pub. 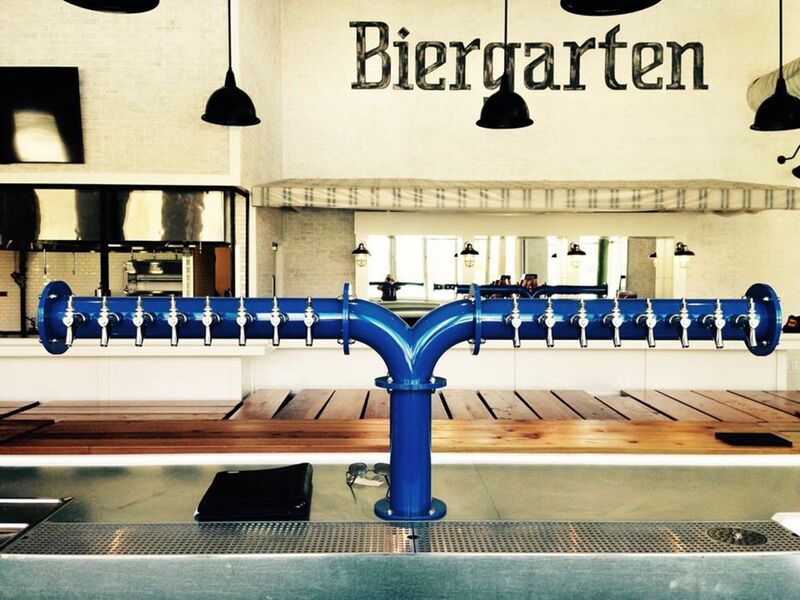 A large selection of brews includes 20-plus beers on tap. There's also a menu of pub food such as a cheese board, hummus platter, burgers, chicken and biscuits, a corned beef grilled cheese sandwich, and the classic Irish side dish of mashed potatoes and cabbage called colcannon. The latest branch of Spin! Pizza has opened, this one in Dallas, by SMU. Spin is part of a wave of Neapolitan knockoffs who approximate that method of doing pizza but with a less exacting approach. Located at 5627 SMU Blvd., it's the fourth Spin to open in Dallas-Fort Worth. Sushi Rock has reopened at 7601 Campbell Rd. in Dallas. Ruth's Chris Steak House opens in Uptown on November 9. Ruth's Chris will inaugurate with a happy hour at 4:30 pm. The restaurant is at 1900 Cedar Springs Rd., on the ground floor of the Miro luxury residential high-rise. Burrito chain Freebirds has effected a new design for all future restaurants which it will unveil on November 12 when it opens its latest location in Lewisville, at 6225 N. Josey Ln. It will combine industrial style with farmhouse aesthetic, incorporating reclaimed wood, exposed brick, and cold rolled steel. Freebirds introduced several additions to its menu in 2015, including seasonal salsas like chili mango and tempheh, a new vegan protein offering. Patina Green Home & Market in McKinney has rolled out dinner on weekend nights that is basically a tasting by chef Robert Lyford. It already serves lunch, but now, on Friday and Saturday evenings, the shop transforms into an intimate, full-service restaurant seating about 35 guests. The five-course dinner is available every Friday and Saturday evening for $45 per person with the option of a $20 wine pairing. Patina also has gluten-free bread for sandwiches such as ham with smoked cheddar and jalapeno peach jelly on a jalapeno cheddar loaf, and chicken salad on molasses wheat. 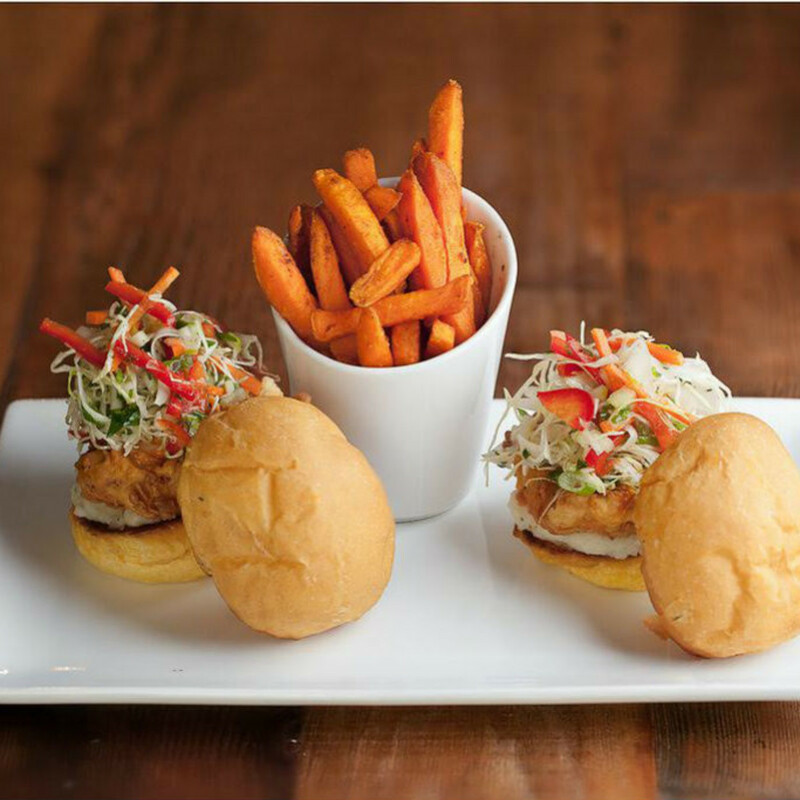 Arlington's R Bar & Grill has a new fall menu with short ribs, salmon burger on a brioche bun, sweet potato fries, "artesian" tomato bruschetta, shrimp salad, fried calamari salad, fish tacos, and lobster crepes. Del Taco is closing 12 locations in Texas, including eight in DFW in Denton, Little Elm, McKinney, Frisco, Lewisville, Plano, and Dallas. This includes the branch at 3040 W. Mockingbird Ln. 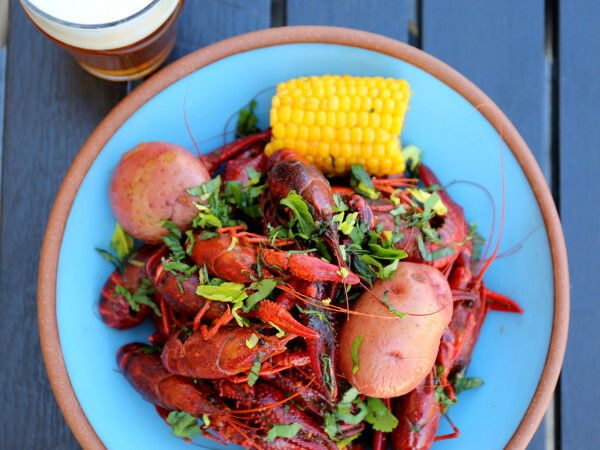 Meddlesome Moth, the gastropub in the Design District, has new fall menus crafted by newly appointed executive chef Richard Graff that showcase seasonal flavors and ingredients. New items include braised Scarlet Runner beans with winter greens, ham hock and cornbread; Heritage pork chop with braised beans, Swiss chard, charred red onions, and pickled okra; and a roasted vegetable salad with chévre, arugula, frisée, cauliflower, baby carrots, croutons, and shallot vinaigrette. 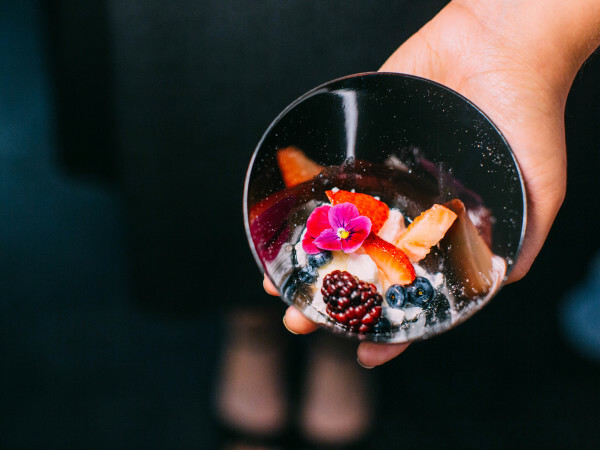 Lark on the Park, the restaurant across from Klyde Warren Park, has new fall menus by chefs Melody Bishop and Dennis Kelley. New dishes include rapini and burrata sandwich; quinoa, kale, and butternut squash salad; crimson lentil soup; tagliatelle pasta; Nova Scotian halibut; and grilled Texas quail. New desserts by pastry chef Laurel Wimberg include saffron custard tart, butterscotch panna cotta, and semolina cake with spiced pear sorbet. Paul Martin's American Grill is hosting a three-course special every Sunday with prime rib and mashed potatoes, green salad, and ice cream for $25. The chef of Max’s Wine Dive in Fort Worth, Stefon Rishel, has a fall menu with seasonal ingredients such as sweet potatoes and butternut squash. Menu items include pimento cheese tater tots with curry-sriracha ketchup, lamb hearts with pickles, lamb shank with garlic mashed potatoes, beef cheek with sweet potato puree, and shaved Brussels sprouts salad. Dillas Primo Quesadillas, the fast-casual Plano restaurant specializing in gourmet quesadillas, is offering the Frito Pie Dilla, with seasoned ground beef, queso, and chili cheese Fritos layered between a crispy grilled tortilla with Dillas' signature cheese blend. It comes in two sizes, regular ($6.99) and gorilla style ($10.49), and is available through Thanksgiving. Eureka! has extended its weekend brunch to Sunday evenings from 9 pm until midnight. Items include huevos rancheros with bison steak chili, Creole Benedict with fried green tomato and ham, and bananas Foster French toast topped with pecans. From now through November 30, Eureka! 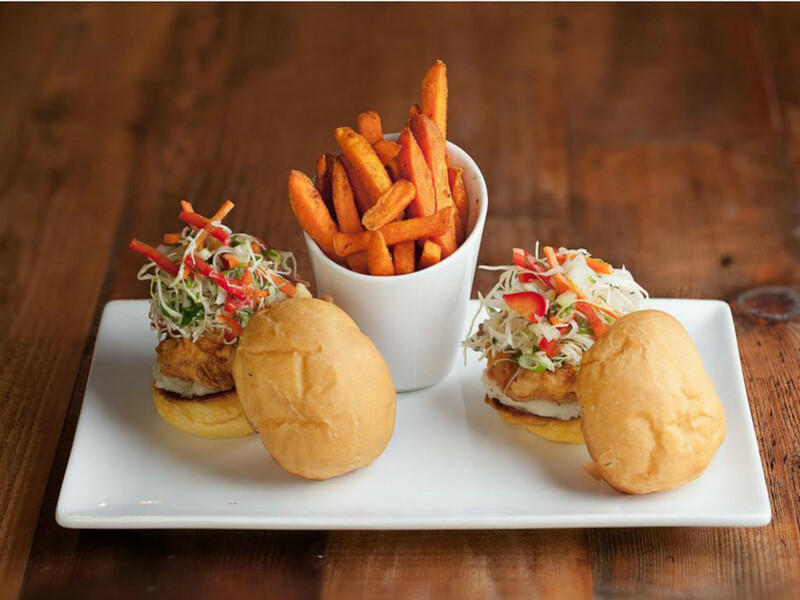 is also serving fried chicken sliders, layered with mashed potatoes and slaw, and a cocktail with rye, pumpkin spiced syrup, cream, egg whites, lemon, and orange juice. My Fit Foods has new items including pecan-crusted tilapia with sweet potatoes and broccoli and chicken corn chowder. The Theodore, the NorthPark restaurant from the owners of Bolsa and Smoke, has announced its staff. Scott Romano is executive chef, Brooks Cameron and Guillermo GMO Tristan are sous chefs, and Marlene Duke is pastry chef. General manager is Jonathan Knecht, and bar manager is Kyle Hilla. Food Network will hold a casting call for season 12 of Next Food Network Star in Dallas on November 7 from 10 am-1 pm at the Westin Dallas Park Central, 12720 Merit Dr.